Beautiful Michelle Lewis assymetric design made in May, 2011. 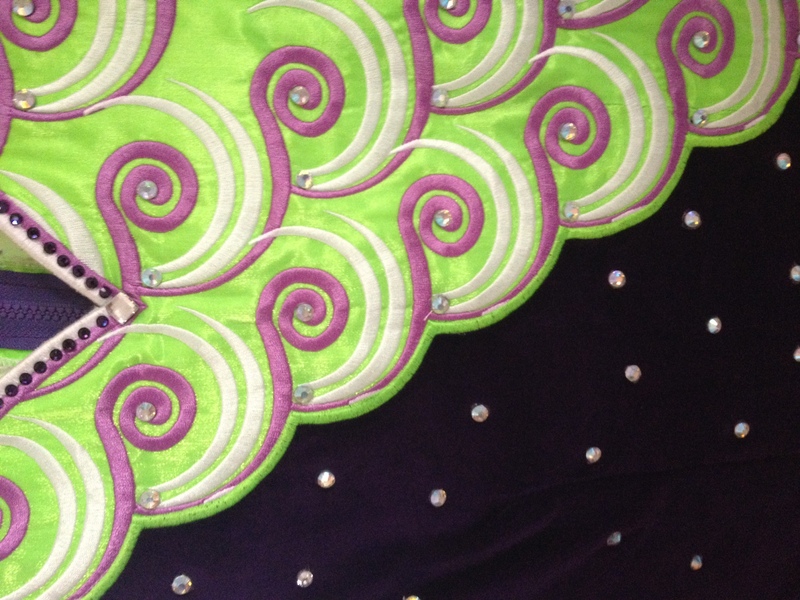 It has a dark purple velvet and bright lime green satin bodice with stunning embroidery and AB and purple crystals. 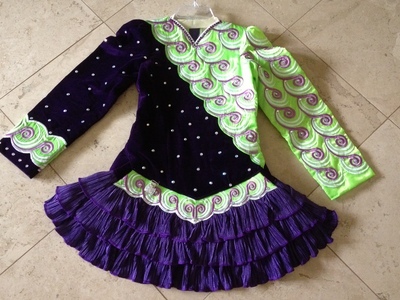 The 3 tiered soft skirt moves beautifully on dancer. It really stands out on stage! 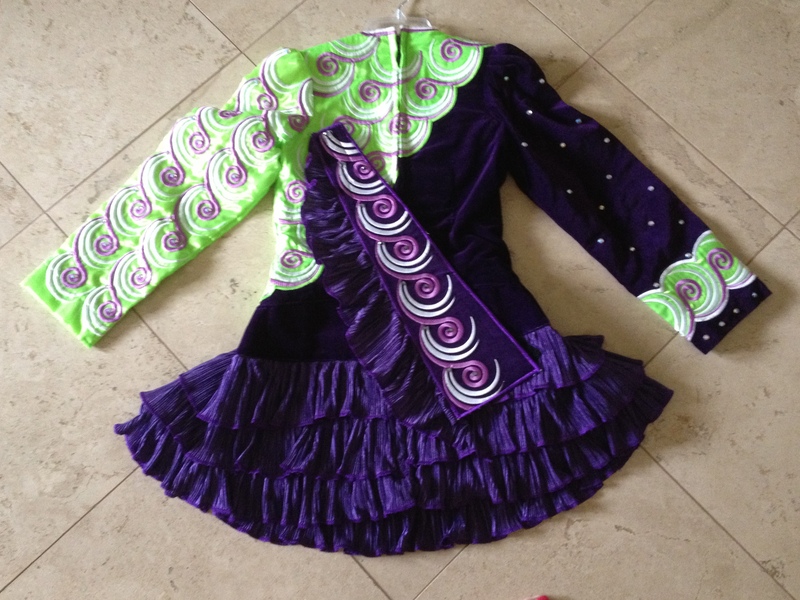 Dress is in excellent condition and always worn with dress shields. 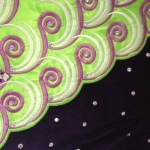 Contrasting cape features trim to match the skirt. Bloomers and Tilly’s Tiara headpiece included.